Is it possible to have one, or has everything new and fresh been done, said, blogged about, 'YouTubed', gone viral, or already been published? Is there anything unique left to be imagined, or is everything simply a reference, done with a twist, to something that exists or has previously existed? It's not a trick question... more a philosophical one... like... 'Which is more powerful, love or hate'?... or 'Is the glass half empty or half full'? Our glasses were definitely full. Bev ordered an iced tea and I chose to drink water with lemon. What more could we possibly discuss over meatloaf and chicken salad sandwiches after spending nearly two hours on the phone chatting and making plans for this little get-together, when I was handed this newspaper article. The headline read... "Wise Beyond His Seven Years", about a boy, a second grader, named Jack Smalley, who won a certificate, medal, and $25 in a philosophical slam contest for his winning answer to the question: "Which is more powerful, love or hate'? It's amazing that someone so young, with such little life experience, could produce the winning entry. In Jack's words... "Philosophy's not hard. It takes a lot of thinking, but that's pretty much all it takes." This article was all it took to get our conversation going. Soon I began talking at length about two recent exhibitions I saw: one by Emily Spivack called 'Sentimental Value' at the Philadelphia Art Alliance (May 17-August 18, 2013), about items of clothing acquired from eBay and the noteworthy stories and memories that go with them, and the other by Judy Breslin called Haiku/QR (June 7-July 6, 2013) at the LG Tripp Gallery, of brightly colored stickers of QR codes embedded with her poetry, placed throughout the city, then photographed. Both shows were about words and stories, both very interesting. Then I posed my philosophical question: Is it possible for someone to have a totally original idea? Perhaps these two art shows, which seem at first unique, are merely modern day versions on the telling of stories that have been around since the cave paintings of Lascaux. Bev's answer to my question was immediate, a definite, "Yes!" My opinion is 'No' and that I'd die a happy person, if in this lifetime, I could come up with an original idea of my own. Honestly, it's not that easy. I'm always questioning my ideas: Are they unique? Are they significant? Are they worthy of someone else's time and attention? The more I question, the less I create. If a quarter of what I've produced in my head was made, rather than discarded before a brush ever stroked the canvas, I'd probably be able to fill both 'the Whitney' and 'Museum of Modern Art'. Either I'm a born conceptual artist or someone loopy with too many thoughts stuck in her head. "MY OLD MAN was like Zeus's father Cronos: he couldn't bear the idea that any of his children might surpass him. Life radiated from the central pulse of his scrap-metal yard; the world beyond it seemed to make him defensive and nervous. Self conscious about his lack of formal education, he took my bookishness as a personal affront. "Which do you think is worth more," he once asked me, "a commodity or some goddamn idea"? Like the question of the chicken or the egg and which came first, can a commodity exist without an idea at its inception? Lunch may be over, but apparently the philosophical questions are not. Ideas: Borrowed? Appropriated? Stolen" or Original? T.S. Elliot said, "Immature poets borrow, mature poets steal." "We always worry that we are copying someone else, that we don't have our own style. Don't worry. Writing is a communal act. Contrary to popular belief, a writer is not Prometheus alone on a hill full of fire. We are very arrogant to think we alone have a totally original mind. We are carried on the back of all the writers who came before us. We live in the present with all the history, ideas, and soda pop of this time. It all gets mixed up in our writing." 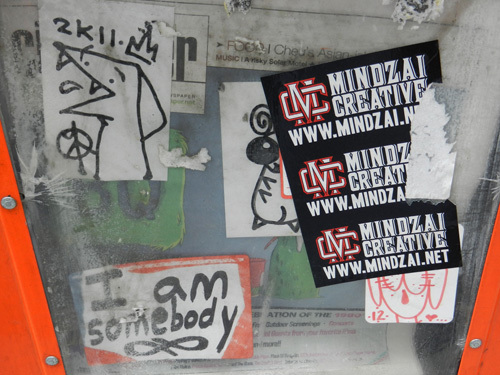 "Every artist gets asked the question... Where do you get your ideas? The honest artist answer is "I steal them." First you figure out what's worth stealing, then you move onto the next thing. That's about it. When you look at the world this way you stop worrying about what's 'good' and what's 'bad'-there's only stuff worth stealing and stuff that's not worth stealing." From Austin Kleon's book, 'Steal like an Artist' are these two quotes: one by Jonathan Letham who said, "When people call something 'original', 9 out of 10 times they don't know the references or the source involved. ", and from the French writer, Andre Gide..."Everything that needs to be said has already been said. But since no one was listening, everything must be said again." And quoted from Anna Held's book, 'The Blank Canvas', a recollection by Jacques Lipchitz... "I remember one day when Juan Gris told me about a bunch of grapes he had seen in a painting by Picasso. The next day these grapes appeared in a painting by Gris, this time in a bowl; and the day after, the bowl appeared in a painting by Picasso." 'Ex nihilo nihil fit'... Latin for "nothing comes from nothing". Even the ancient Greeks believed that things could not disappear into nothing, just as they can't be created from nothing. And with nothing more to say... What's your take on the concept of 'original' idea? Is there a question rattling in your brain that needs answering? The newspaper article, "Wise Beyond His Seven Year's" Here. Emily Spivack's show here and from her website 'Sentimental Value', a story about a bridal gown for sale on eBay here. 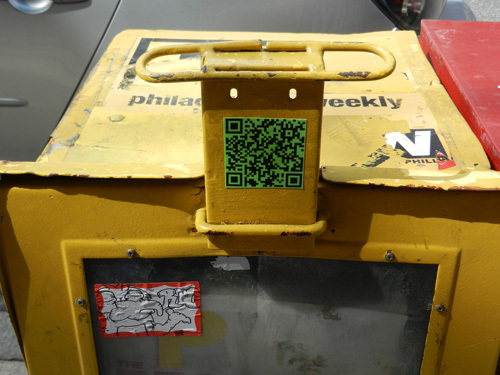 Judy Breslin's solo show here and the latest on 'Why QR Code Poems Cause Conflict in Philly's Old City" here. 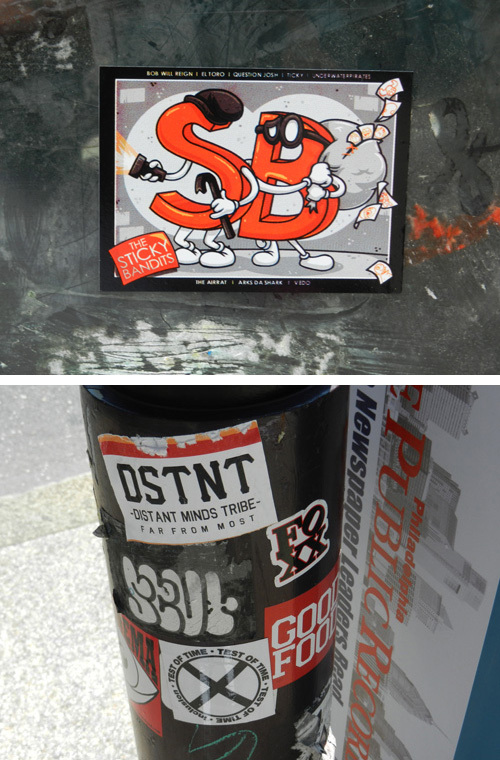 Interview with sticker street artist Curly here. 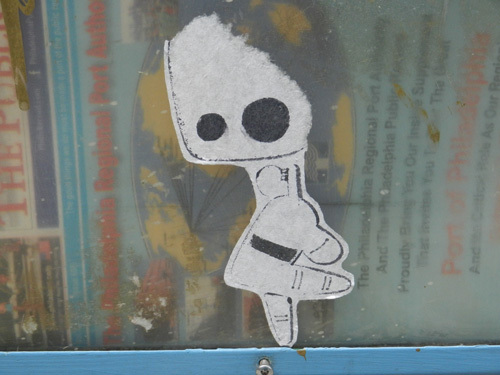 More sticker art from 'Tag This Philly' here. Appropriation or downright plagiarism... Lady Gaga is sued for $31 Million here. The recommendation to "question the answer" is a good one. 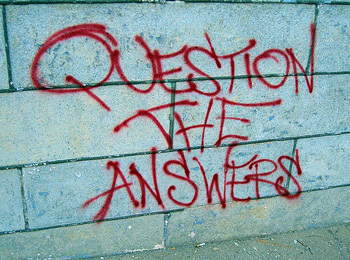 It would be even more in Philosophy's homeland if it advised to "question the question". Frequently, an investigation into some pressing concern/conversation between thinking folks or within our own mind, isn't so much a "problem" but an exercise in ambiguity and language. 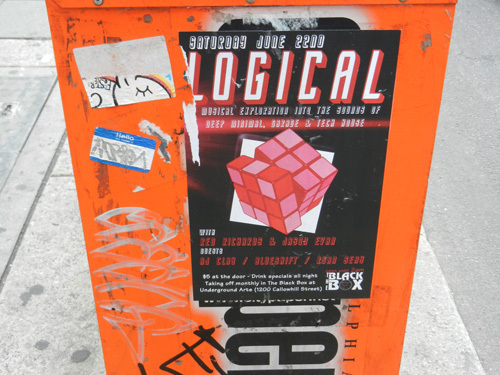 NB-- the query as to whether it is possible to have a totally "original" idea in the field of art. Original is in the family of creating, discovering, evolving, devising/inventing something new, being the first cause etc.---- Take for example, Cubist paintings. Were they prefigured in thought and design within the works of Cezanne? or, Were they invented, discovered, morphed by the minds of Picasso and Braque, sui generis? Were they products of possibility or probability? Is there some type of test or way of showing originality? Were not the drip paintings of Pollock the result of some mistakes and accidents not even intended? An "Original" idea, image, style, is a loaded concept. The topic of 'Original' idea is definitely loaded. You almost had me switching my opinion on the subject when you mentioned Jackson Pollock and his 'accidental' drip paintings. Accidents could certainly be ideas from nowhere. Then I did some research and found that Pollock attended an experimental workshop back in 1936, in NYC, given by Mexican muralist David Alfaro Siquerios, where unconventional materials like: synthetic industrial paints, spray guns, drip painting and photomontage were used to develop new techniques for mural paintings. Was 'Jack the Dripper's idea solely his own? Perhaps one day someone will develop a test... like a pregnancy home test which determines the birth of a child, to determine the birth of an original idea. An idea may be original to the person who comes up with it but in reality it most likely has been thought of or done before in some variation or other. That doesn't take away from the person who came up with it independent of knowing about some pre-existing form of it. Every person is unique; not even identical twins are identical in every way so even on the very same theme, each person will have their own individual spin on it which is completely unique to that person. The best advise my dad ever gave me was to never believe something someone told me just because they said so. I should think for myself and decide if I believed what they said is true. This came from discussions we would have when I would come home from Sunday school and he would ask me about what I learned. I would tell him and then he would ask me if I thought what they told me made sense to me. He made me think about what I was told and not just accept it as true just because they said it was so. My dad was an atheist so he didn't believe any of it, of course. As I got older, I did a lot of thinking on the subject of religion. Eventually, I came to believe as my dad. One of the mind games I sometimes play is thinking about the universe and it's unending infinity. It's beyond my comprehension because everything I know is contained within something. But how can space go on forever? How is it not contained within something? It seems impossible that there is not some end to it. How can space not end at some point, but what would be the "container" for it be? I always end up shaking my head because it boggles my mind. The other thing I wonder about is this: where did all the matter that started all that exists in space and the universe come from in the first place? How can something be created from nothing? My question to people that answer that it was crated by God is: Who or what created God? How is it possible that an intelligent, omniscient, omnipotent being can come from nothing? These are questions whose answers I will never know but wish I did. I absolutely marvel at all of creation. OK. I'm done thinking about such things. My head is swimming. Time to think about something mundane like, "Should I have cereal or toast for breakfast tomorrow morning?" Sounds like your dad was instrumental in making you the freethinking individual that you are. How wonderful to be given the ability to question rather than merely accept. As far as science: space and black holes, numbers to the 2nd power, even simple math, it all baffles me. There's so little I know. It's amazing I've gotten this far. It helps to have a brilliant husband along with 'Google'. Like you, just handling small decisions of cereal or toast for breakfast is at times a challenge. Thankfully, I'm not required to reinvent my morning meals and once I make my selection, all I have to do is 'chew'.